Welcome to a lovely heart-warming post form Native American De Ann Townes. De Ann has long been a true friend to Plum Tree Books. She has supported and contributed to all of our anthologies, and it is with great pleasure that I introduce her poet’s soul to you. De Ann is unashamedly passionate in her words and in the way she lives her life. Thank you De Ann for being with us in the plum tree today. I hope you will also enjoy this wonderful picture of Sir Henry Taylor that I have found to accompany De Ann’s lovely post. 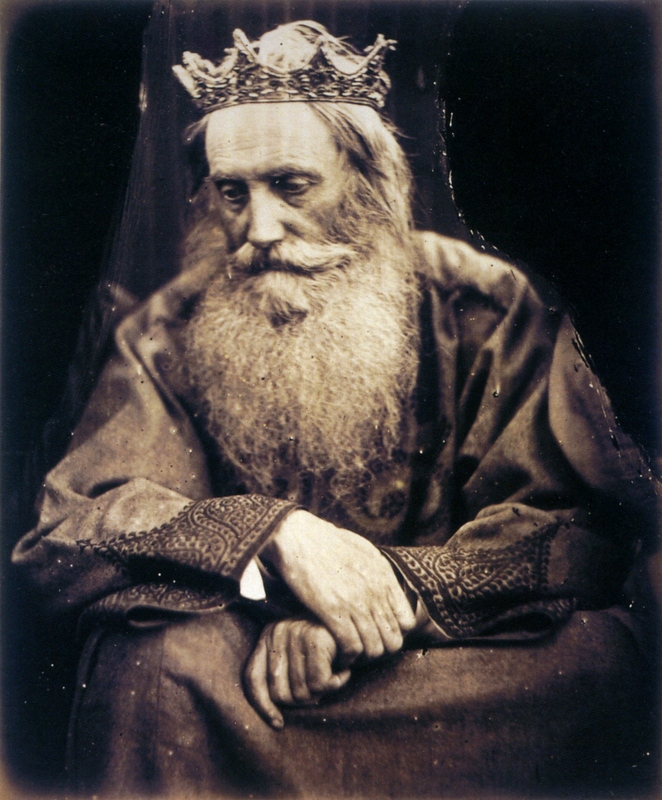 It is a photograph by genius British photographer Julia Margaret Cameron 1815 – 1875 and is a study of King David ~ one of De Ann’s favourite psalmists and poets. Poetry is the morning dew that lightly glistens on the grass, flowers and trees…. It’s the pulse of the universe, the blood pumping and coursing through my veins…. It is the beating of my heart, the burst of creativity that sparks within my being illuminating my mind and gripping my soul…. My lover’s caress absolutely sensual, the beautiful love and connection of my babies now grown and my grandsons that have captured me wholly…. Poetry has been my salvation when I found myself in a dangerous and uncaring world… My outlet to the hurt and my confidant when a friend was needed… I see poetry in the air that I breathe and feel it with each breath that I take. It’s the nourishment to my existence, the medication that makes me well… I see it in the flowers that bloom, the blossoming of the trees as they blow in the wind and change colors with the seasons. The touch of each sweet raindrop and uniquely formed icicle to the bush of the brilliantly created snowflake… I am in awe as the white fluff of the clouds with the backdrop of a beautiful blue stills me so… I feel it within my connection to the world around me – from the squirrels scampering and scurrying about, readying themselves for the long winter months as they prepare their burrowed nest and collect their acorns and nuts – to the birds cheerfully chirping. My Native American heritage is poetry infused. It’s who I am, it’s who I’ll be and all that I am. I am poetry and poetry is me. Why I love my favorite Poet? I had to truly meditate upon this question, smile. I never thought I had a favorite Poet because there are so many brilliant Poets in the universe. Some of those are as flows: Native American Poet “Gary Armstrong” and his poem “Mixed Reflection”; Poetess “Anne Bronte” and her poem “A Voice from The Dungeon”; Poet “William Shakespeare” and his poems “Shall I compare thee to a Summer’s Day” Sonnet #18 and Blow, Blow Thou Winter Wind”; Poetess “Emily Dickinson” and her poem, “Because I could not stop for Death”; Poet “T.S. Elliot” and his poem “Sweeny, Sweeny Erect”; Poet “Edgar Allan Poe” and his poem “A Dream within A Dream”, and Poet “Mark Twain” and his poems “To Jennie” and “Genius”. From the tangible to the obscure, their poetry touches the very essence of my heart’s soul. But in giving it some deep thought, I have to say that there is a poet that I find myself reading daily and carrying his words deep within my soul. The Psalmist and Poet “King David”. As I read I feel his pain, joy, sorrow and Faithfulness for and towards his God and struggling through and for salvation and sanity. The Poetic soul within me pours over his words. I allow them to soothe like a healing ointment over me and I am Alive; I am Free. Muchas gracias Niamh y Plum Tree Books for such an Honor. 🙂 I am truly humbled y most Blessed to know y work with tú these past años/yrs. Gracias again for such a true honor y Blessing. Gracias Beverley 😀 I am honored that tú enjoyed it. Beautiful words on poetry. This is so special. Gracias Juliette 😀 Bless tú for su/your kind words. Gracias Jamie 😀 I’m honored by su/your visit y that tú enjoyed. Best of Blessings. Poetry is indeed all of those things to all of us. Beauty shared, De Ann, and much appreciated. A Native American poet that I enjoy very much is Joy Harjo. Be well dear, De Ann, and poem on …. This entry was posted on November 13, 2013 by Dr Niamh in Guest Authors, Poetry and tagged Anne Bronte, De Ann Townes, Dr. Niamh Clune, Edgar Allen Poe, Emily Dickinson, Gary Armstrong, Juia Margaret Cameron, King David, Mark Twain, Native American, Plum Tree Books, poet, poetess, poetry, Shakespeare, T.S. Eliot.